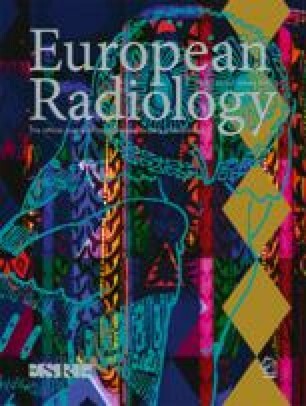 The authors report a case of successful detection of pulmonary embolism using gadolinium-enhanced spiral CT (Gadodiamide, 0.4 mmol/kg, 2 ml/s, delay 18 s) in a 77-year-old woman, with previous allergy to iodinated contrast medium, and renal failure, who presented with pulmonary arterial hypertension. Doppler ultrasound of the lower limbs was first performed and revealed a deep venous thrombosis of the right lower limb. To establish if venous thrombosis was the cause of pulmonary hypertension and to confirm that pulmonary endarterectomy was not indicated in this situation, several imaging modalities were performed. Lung scintigraphy and MRI were non-diagnostic. Gadolinium-enhanced spiral CT demonstrated a large thrombus located proximally and in a segmental artery of the right lower lobe. This case illustrates the potential usefulness of gadolinium as alternative contrast agent with spiral CT to diagnose pulmonary embolism and elucidate the cause of pulmonary arterial hypertension in a patient with some contraindications for iodinated contrast medium injection.